Photo series documenting the movement of a person in one night while their surroundings remain constant. This series is about recording the time the person disconnected from the world. Each photograph represents one night. Does he/she still exists if the camera does not record his/her presence? Light and time alter his/her existence. It is absorbed into the environment. My photographs show the effects of time and movement, uncovering the abstract that is under our reality. They show the passage of time during his/her unconscious state passing. 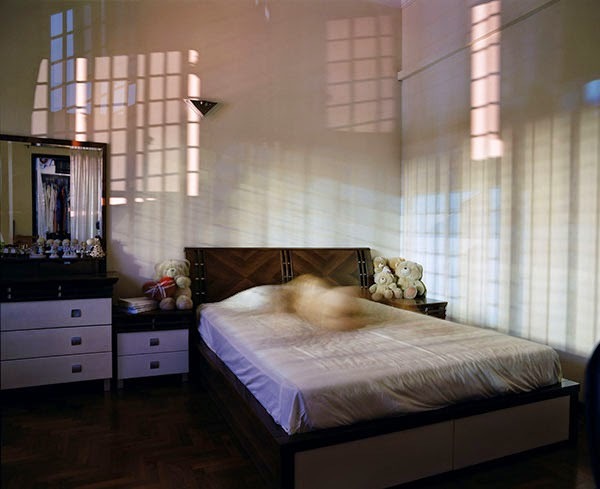 When the environment is constant and his/her body and the light are the only movement in the image, the bed becomes a stage. The person becomes a performer. These images are a performance created overnight as time passes around the sleeping body.